In market and industry research we typically make a living by finding answers to clients’ big strategic questions. More recently, I’ve discovered that in business (as in life), questions are infinitely more important than answers. Questions focus our energies and actions. More importantly, they determine the outcomes of our actions. In 2019, we’re putting our primary efforts on understanding the power of questions, asking the right questions, and helping our clients ask the right questions. Micheal Stevens, a regular TED speaker and founder of vsauce.com, once theorized that the big advantage that homo sapiens had over the neanderthal was curiosity. What’s over there? What if we did things this way instead of that way? How can we make life better for ourselves and for our children? This ability to ask what Hal Gregerson of MIT might call “catalytic questions” propelled us to the limits of human endurance. It set our minds and bodies to work on solving the biggest challenges - from the base, to the very top of Maslow’s pyramid. There is no crystal ball. Curiosity is the closest thing to it. Predictions are static. What makes sense today will make no sense tomorrow. Conditions change. Risk is inherent.  Questions are dynamic. They open doors. Our visibility is limited, particularly in the era of technology and exponential change. The best we can do is chart out a well-informed strategic trajectory aimed at achieving the mission. Asking the right questions will 1) help us to understand the organizational mission and 2) help set effective strategy in light of imperfect information. Observe these two visuals on how we process and react to the world around us. The linear, reactive approach amounts to waiting for stuff to happen. This leads to reactive questions e.g. how did we get into this mess or how do I fix this? Answers become about damage control. No real answers. During the best of times, we afford ourselves the latitude to be linear. The good times rarely last. The circular, proactive approach requires more effort up front, but is more likely to yield interesting results. Taking the time to ask proactive questions like: Is there a better way? Or is this worth it? Or how can I do more with less? Answers then become about unlocking better questions. LUFT: Questions precede answers they set the action agenda.  LUFT: Better questions lead to better answers. Better answers unlock better questions. In other words, are we working towards the right objectives? Are we aiming high enough? Are we aiming too high? This is the big meta question we aim to address: Where should travel brands be looking in our quest for uncontested market spaces? Our travel industry research theme for 2019 is “back to blue oceans” summarized in our end-of-year manifesto. The premise is that despite all of the incredible applications and technologies now being released, much of today’s travel industry is a fight for existing market share. Blue Ocean Strategy is one of those books that every travel industry professional should read. Take a look at this chart. Are you seeing more red or blue in your segment? I say “back” to blue because the smart companies will once again back away from the pitched battle that is travel and look for uncontested market spaces. The next big paradigms will not come from one single emerging technology e.g. virtual reality, or artificial intelligence or blockchain. The next emerging players will create new demand and new reasons to travel by pulling from different yet convergent disciplines. Questions have become fundamental to our research practice. We obsess over them and have developed a framework for tracking developments across the global travel industry value chain, through the power of inquiry. You can read about the QUEST360 project here in greater detail.